We’ve all been guilty of over-packing at one time or another. Having choices is important, but it’s also vital that you don’t forget certain items when you travel to Alaska. The remoteness of the state means that staples that are cheap at home are often 2, 3, or 4 times the price if you need to buy them in Alaska, even in port cities like Juneau and Skagway. Here’s our list of what specific items you should pack for your Alaska cruise and Alaska cruise shore excursions. The Alaskan cruise season runs between May and September, when temperatures generally hang out in the 50°-70°F range, but rain can be a big factor. Stops like the town of Skagway, after all, are right in the heart of the rainforest! For on-shore visits shore excursions, pack jackets and items that can be layered to stay comfortable. Bring hiking boots or shoes that will be comfortable to do some walking in. A light, foldable raincoat would also be a good item to bring, if you have one. Please, please, please DO NOT WEAR A PONCHO if you are going on any kind of excursion involving extra equipment, like ziplining. It just gets in the way, prevents the equipment from fitting correctly and ensures that you’ll overheat, even in the cool Alaskan showers. Depending on the age of the child, the list can be quite exhaustive. Aside from the usual suspects, take a look at the Postable app, which creates and sends an instant postcard from your smartphone photos. Kids will love sharing their good time with relatives and friends back home. Consider picking up a cheap disposable camera for them to document the trip if they don’t have a digital one. This not only keeps them busy (and happy) but keeps the adults’ devices out of young hands. 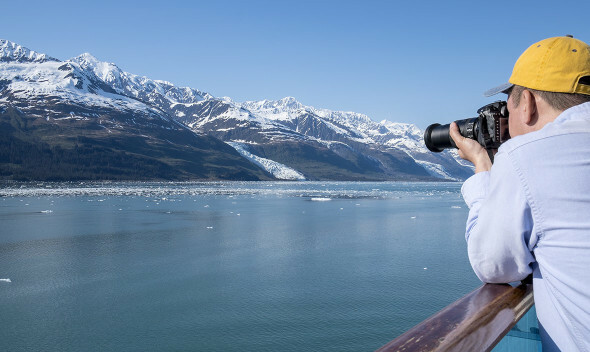 Bring cameras, recording devices, and tablets to preserve all of the awesome memories you’ll be making on your big adventure, especially on Alaska cruise shore excursions, and don’t forget to bring the battery packs and chargers. Replacements will cost more when you get there. Consider purchasing waterproof cases for phones and other electronic devices to keep them safe when away from home. While you’ve got the phone out, take a look at our previous post on awesome apps that will help you get ready for your Alaska cruise shore excursions too. There may be more than one that you find helpful. Life’s little annoyances: tweezers, nail clippers, safety pins. In the days leading up to your cruise, throw these small but essential little nuggets in your travel bag. Extra stuff you absolutely cannot replace without a small panic, like another pair of contact lenses, old replacement glasses, and extra hearing aid batteries are a must. First aid supplies should include motion sickness medication, bug spray, sunscreen and bandages for any small scrapes that may happen while exploring outdoors. If you are the adventure sports type or advanced in your passion of choice, say, mountain climbing – take a few minutes to call ahead and confirm that all your favorites will be ready and waiting for you when you get there. Kayaks, bicycles, and other large items are not worth the luggage fees since they are guaranteed to be available for rent, along with certified instructors and guides to show you around. Everyone knows the drill. We all say we will only buy 1 thing while on vacation, but that doesn’t include the brochures and maps collected along the way. And then, there’s also that high-quality pair of gloves you picked up at the trading post. And of course, it really wouldn’t be Alaska if you didn’t bring home some beautiful custom made art. Next thing you know, you have a big pile of new stuff that wasn’t there when you left and no place to put it. Instead of having to buy yet another bag or carry on, leave some room to bring your goodies back. Skagway visitors especially, BRING YOUR PASSPORT! Almost every Alaskan cruise makes a stop in Canada, and some of the Alaska cruise shore excursions, like the Yukon Discovery tour in Skagway, travel there from the port. 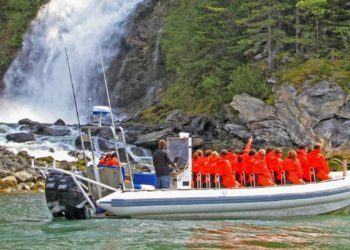 Make sure you aren’t stuck in the land of maple leaves and that you aren’t held back on any Skagway shore tours by having the necessary documents for every member of your family. That way, spots like Skagway will be a source of beautiful sights rather than unneeded hold-ups! Vacations are a great time to make a new long-distance friend, and for some, it provides a unique networking experience. Bring along a small notebook and pen for quickly jotting down the email addresses or other info if you meet a new friend. Business owners should absolutely bring cards with them, since, “So, what do you do?” is one of the first things a person asks when they meet someone. Never discount the unexpected potential connection opportunity. This list is not meant to be exhaustive, but rather, our quick tips of things that people most often forget when they travel to Alaska and head out on Alaska cruise shore excursions.